Walmart remains on a shopping spree for all the U.S. based online retailers who can not run fast enough away. 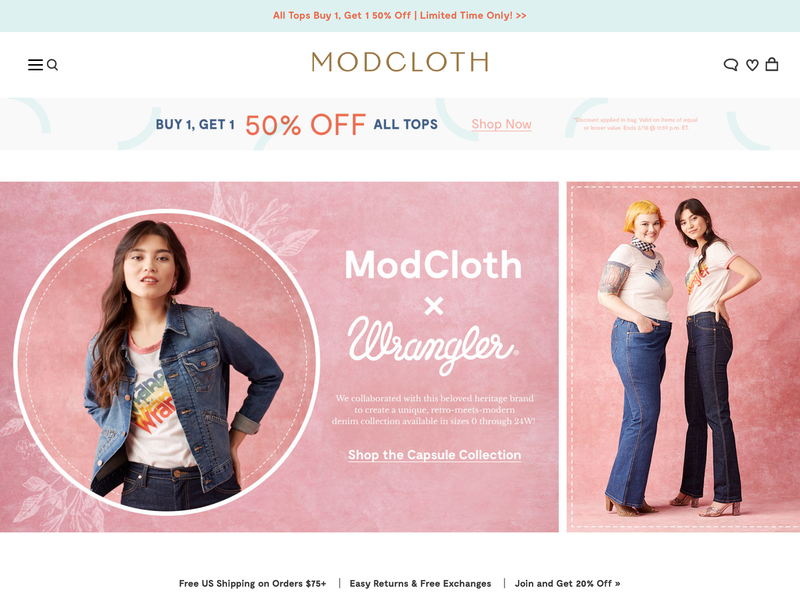 Next up: ModCloth. Modcloth employees were gathered this morning for an all-hands meeting, a recording of which was provided to Jezebel. CEO Matthew Kaness told the room that the company had been acquired by Jet.com, prompting an immediate, audible rustle of dismay from people in the room who understood who their parent company is: Jet, an online shopping site for household goods, was acquired by Walmart in August. “This is news that hasn’t been shared with the public yet,” Kaness added. “I ask that we keep this within the company, as we usually do.” The news is set to be announced publicly on Friday. The actual closing of the deal is set for Thursday. ModCloth was founded by high school sweethearts Susan Gregg Koger and Eric Koger in 2002 while both were studying at Carnegie Mellon. What started as a product of Susan’s finds in thrift stores turned into a $150 million revenue business by 2015, the company said that year. The company raised nearly $80 million in venture capital and eventually relocated to San Francisco. It hired Urban Outfitters exec Matt Kaness to be CEO two years ago and had started to experiment with physical stores, including a permanent outpost in Austin. But ModCloth had struggled to operate profitably and had been unsuccessful in recent attempts to raise additional funding, sources said. The company also had debt coming due. With ModCloth (and most likely more to come over the course of this year) it’s all about giving Jet.com and Marc Lore, Walmart’s e-commerce boss since last year, an army to fight Amazon. The holding that is getting formed here before our eyes is still happening. It just seems there is no strategy behind this besides ‘SIZE!‘. On Jan. 13, Wal-Mart made several leadership changes, tapping more Jet executives as part of its push to focus more on e-commerce and better compete with Amazon.com Inc. (No. 1 in the Top 500). The company said it’s streamlining its web team so that it can serve customers whether they shop online, via smartphones or in stores, according to Lore’s Jan. 13 memo. That memo also said Wal-Mart will create a new team to handle customer issues, returns and fraud prevention—a critical concern as Wal-Mart relies more on third-party merchants selling on its marketplace. One thing we wrote about the acquisition of ShoeBuy in January is still true: It was the first of many to come. Expect more acquisitions to happen. It makes one wonder how many U.S. VC’s are wishing right now they would had backed an e-commerce startup or two over the last couple of years.